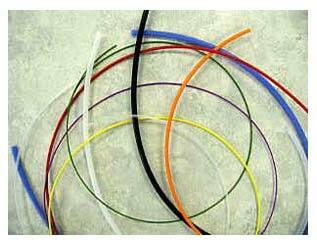 Flame-retardant non-shrink PVC tubing comes in various styles and colors. 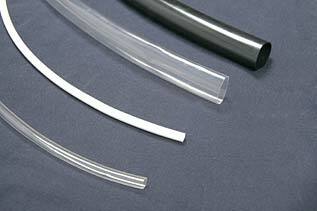 It has excellent electrical, chemical and physical properties that make it a good all-purpose tubing. 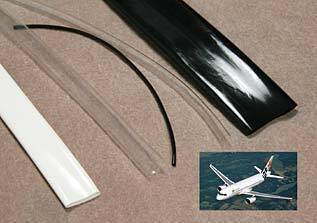 A low temperature extruded PVC tubing designed for aeronautical applications, general purpose bundling, harnessing, and many other uses that require a very low temperature tubing that remains flexible. BD1127 has a very soft durometer (71 Shore A) which makes it extremely flexible and also has a high cut-through resistance. A high temperature extruded PVC tubing designed for electrical applications, general purpose bundling, and many other uses. 105°C vinyl tubing is a low cost, flexible vinyl with excellent electrical, mechanical and thermal properties for applications up to 105°C. It carries Underwriters Laboratories recognition and is rated VW-1 along with Canadian Standards Association certification. This tubing is available with standard wall thickness shown below along with a .032" wall thickness in sizes #24 thru 1/2" on special order where 600V rating is needed. BD1126 is a general purpose, extruded PVC tubing with a wide temperature range designed for appliances, electric motors, commercial and military aircraft, general purpose bundling, harnessing, and many other uses that require a low temperature tubing that remains flexible. BD1126 has a high dielectric strength, excellent flexibility, fungus resistance and is non-corrosive.